The Annual Festival in 2016 will be held in Hertford on the second Saturday in September under the Banner of the Old Hertfordian Lodge No 8083. 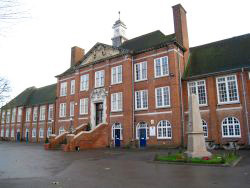 Richard Hale School, formerly known as Hertford Grammar School, will enjoy its 400th Anniversary in 2017 and the Old Hertfordian Lodge will celebrate their 50th Anniversary in 2016. The Lodge has very close ties with the Hertford Rugby Club and the Richard Hale Association.